View Barbados from a different perspective – on a guided bike ride! 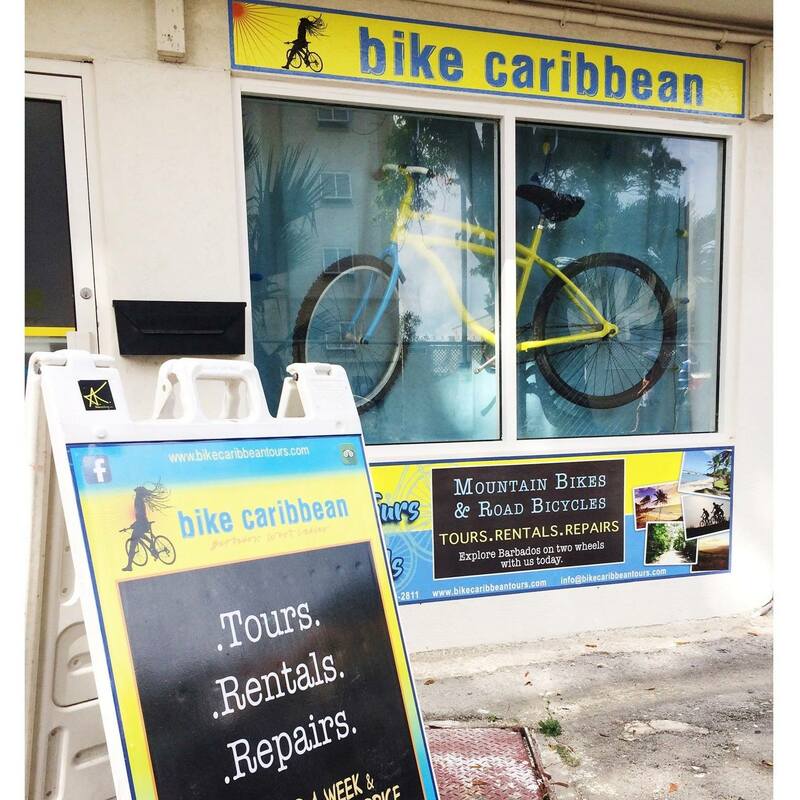 What started out six years ago as an online bike company called Trailseekers Barbados, this family owned business grew and expanded into what is now Bike Caribbean Tours. With this growth the company has also opened a store front, strategically located in the famous St Lawrence Gap. The shop acts as a base and showcases the company’s rental bicycles, handles all bookings and also takes care of any immediate repairs and regular maintenance to the bikes. Bike Caribbean is a family business whose mission is to focus on giving each customer the fantastic private and personal experience they seek by offering a limited group size and unparalleled touring knowledge. A variety of tours are offered and each one includes pick up and drop off to and from your hotel/villa. They try to keep the groups quite small to only each single, couple or group bookings. Explore the hidden surf spots of the south coast and tap into Bajan island culture stopping at some laid back local favourites. Head to the top of the island where the cooling breezes and rugged landscapes meet off the beaten track beaches. The east coast countryside tour is a chance to explore the picture perfect postcard side of the island away from the hustle and bustle. This is a great option for any rider that wants to focus on a particular area of the island or riding skill. If renting a bike a fitness route can be mapped out. Mix up east coast riding with a hike along the Bathsheba coastline following the path of the old trainline. Explore the island by bike and car with a mix of rides and pit stops along the way. Tour includes lunch at a popular Bajan tourist spot.